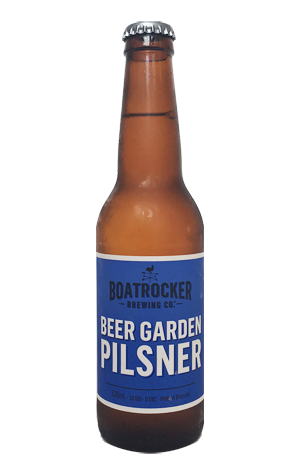 Not Boatrocker's first beer, but one that first caught the eyes of many when it secured a gold medal at the Australian International Beer Awards soon after release. The beer then was called Hoppbier, since renamed Beer Garden Pilsner, and is a New World Pilsner inspired by brewery founder Matt Houghton's earlier backpacking days in northern Germany, one that takes the beer garden memories of his youth and brings them up to date with the use of Kiwi Riwaka hops. Enticing but delicate tropical fruit aromas sit atop a simple (as it should be) malt base, all wrapped up with a refreshing bitterness. The beer started out as an occasional release but, as of autumn 2018, is ensconced as part of Boatrocker's year round lineup.